Cleantech's hot water carpet extractors are one of our most popular pieces of equipment for deep cleaning carpet and upholstery. Carpet extractors attack stains through a targeted use of cleaning solution followed by heat, pressure and suction to remove dirt and grime. 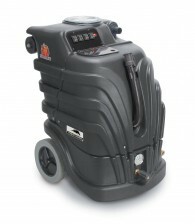 This combination of techniques ensures a uniform deep clean on even the toughest surface stains and odours, moving past surface to dirt to get to the root of the carpet. 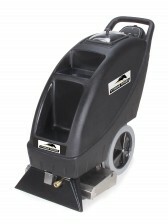 Our carpet extractors allow the cleaning materials to penetrate even the deepest areas of the rug. Cleantech's full line of carpet cleaning equipment gives you a variety of options and maximum flexibility to clean in large or small spaces. Our commercial carpet extractor models include riders, pull back, and forward push designs to ensure easy and efficient use.